Eva-Maria is a cheerful, open-minded and very lively girl. Unfortunately since her birth she is physically and mentally disabled. We are still trying to figure out why she is actually ill, but as of today the doctors couldn´t find out what´s causing all this. Even though she is seven years old, her developmental age corresponds to that of a one year old child. This means that she can neither talk nor feed herself, nor care for herself in any way. 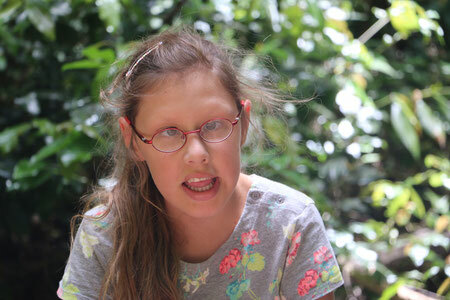 Eva-Maria is in constant need of help from her parents and other people caring for her. After two inpatient rehabilitations and practically trying all classical therapies, including physical, speech, occupational, music and horse therapy, we still didn´t see the improvement we had hoped for. Therefore our only hope right now is a dolphin therapy for Eva-Maria. We are pretty certain that these intelligent animals will provide her with some or hopefully lots of developmental stimuli. Unfortunately our health insurance doesn´t cover this therapy and we can´t afford to pay for it on our own. That´s why we are in need of donations.